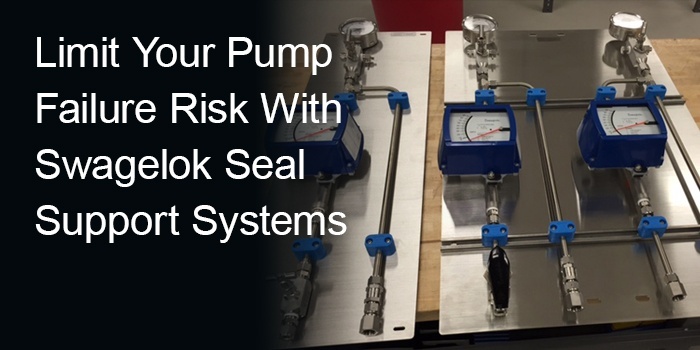 Pump failures, particularly unanticipated ones, can cause facility shutdowns, lost revenue, equipment damage and potential increase in environmental audits. Our seal support systems are used on rotating equipment in hundreds of companies locally and world-wide, large and small as well as in all types of environmental conditions. Swagelok Southeast Texas combines quality Swagelok components with our industry-leading engineering and technology to build assemblies that meet or exceed local and national industry standards. Call us at 281.353.5166 or email us to talk with our engineers to learn how to reduce the failure risk of your rotating equipment systems.